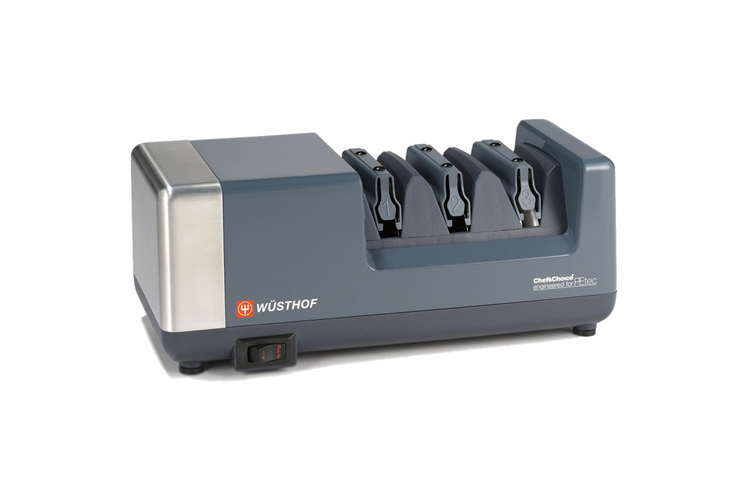 The WÜSTHOF Precision Edge Technology Sharpener is designed to keep your WÜSTHOF and other knives sharp and is especially well suited for sharpening WÜSTHOF knives with PEtec edges. Stage 3 - Stropping/Polishing - (ultra fine proprietary stropping material) - this advanced stropping material polishes the blade to a razor sharp edge after sharpening and/or honing in stages 1 and 2. Stage 3 can also be used alone on serrated edge blades. Since 1814 WÜSTHOF has set the standard for designing and manufacturing precision-forged knives. Wüsthof knives are manufactured by a skilled team of 300 dedicated workers in two state-of-the-art facilities in Solingen, Germany. Production there follows strict rules in order to achieve the finest quality, while at the same time remaining environmentally friendly.